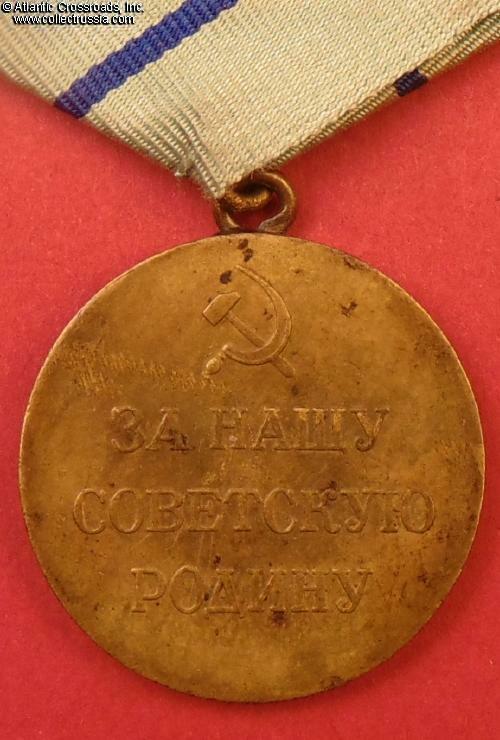 Partisan Medal, 2nd class, circa late 1940s - early 1950s. 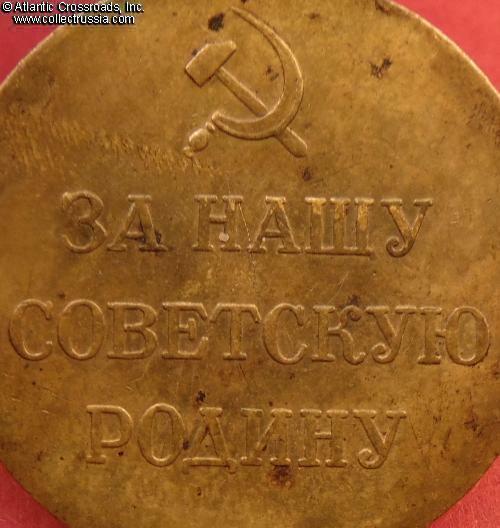 In brass; measures 32.0 mm in diameter; approx. 2.6 mm thick; weighs 15.6 g without suspension This variation has raised border around the edge on the obverse. 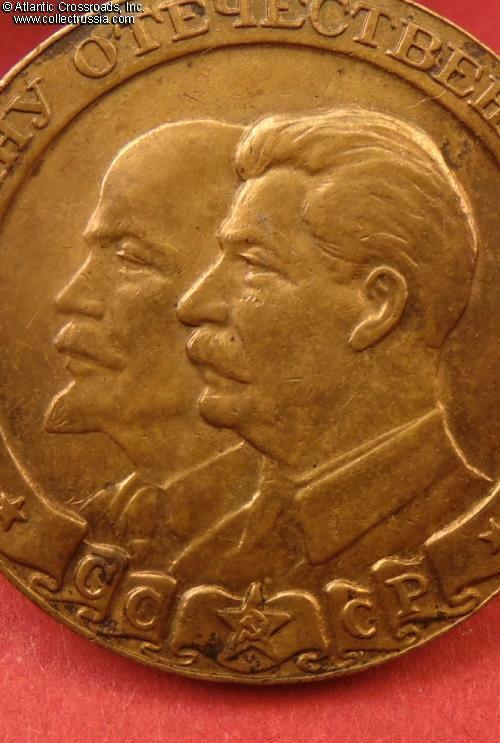 Also features "straight-nosed" portraits of Lenin and Stalin; Lenin's beard is not turned down at the tip. 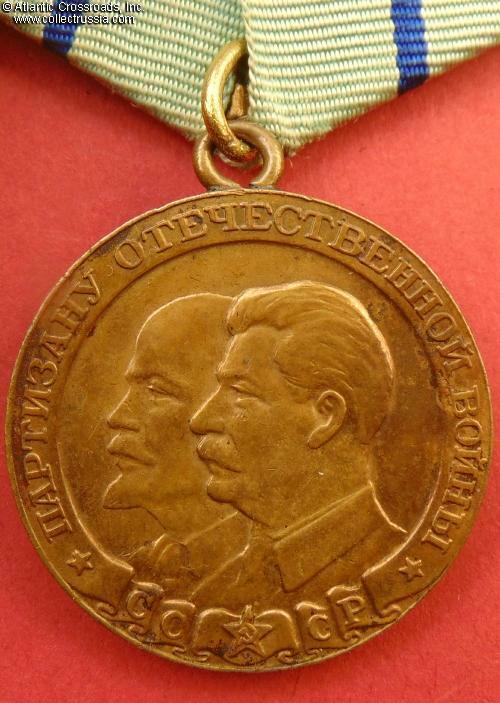 The hammer and sickle emblem on the reverse does not have a small projection over the edge of the sickle, above the handle that is found on other versions of the medal. Very fine to excellent overall condition. Shows a few small oxidation spots on the obverse and reverse, none of them too detractive. There is no significant wear, only a few tiny scratches or contact marks that practically unnoticeable. The raised details of the bas-relief portraits are exceptionally well-preserved and crisp, essentially perfect. 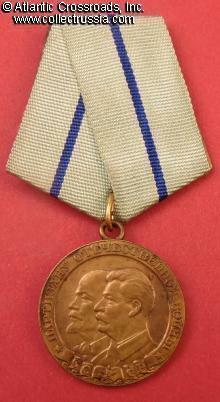 A good amount of the original "gilt" mint luster is clearly visible in recessed areas on both sides of the medal. 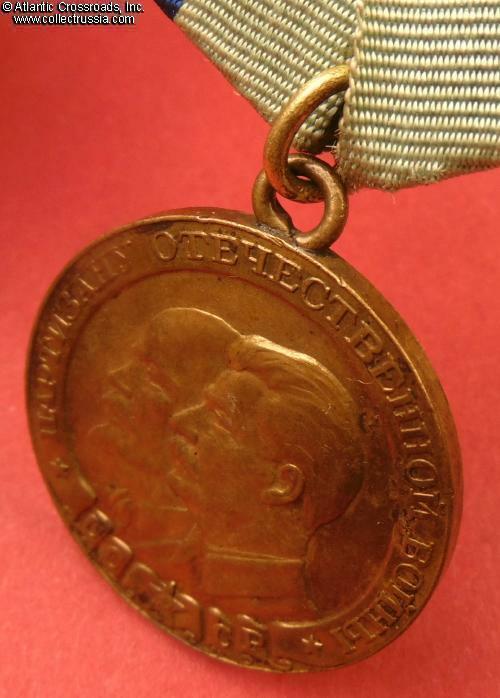 The medal comes a brass suspension device of late 1940s model. The ribbon is relatively recent, showing only minor use and perfectly clean. 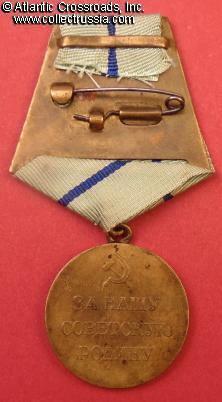 Overall, this is a very attractive example of the Soviet WW2 Partisan Medal.